Friday found me at a funeral. My friends’ mom passed away from breast cancer this last week. I didn’t know her very well. I think I only met her a couple of times in my teens and early twenties. But I love her daughters. And regrettably, I know cancer. Because of that I felt a deep loss. I don’t find funerals easy. Who does? Many times I don't accept death gracefully. I am angry at the pain I see in the residue of death. I wonder why the young die, why the healthy die, why people suffer. Before and after the funeral I found myself staring at pictures of galaxies. This might just have been a co-incidence but personally I think God knew I would need it. Last week, I started working with a new client. They sell telescopes so there are plenty of pictures of the stars for me to wade through. 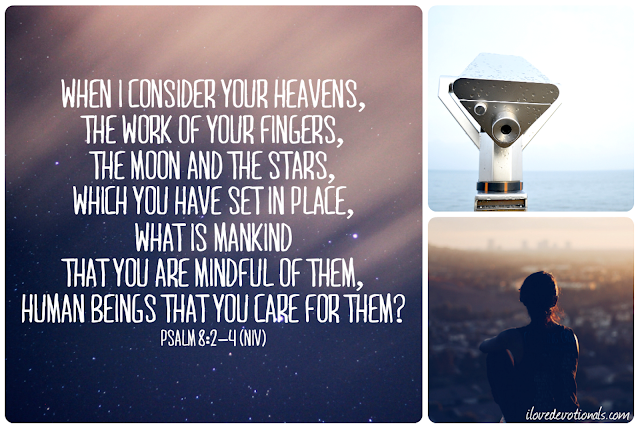 Click-after-click my eyes focused on a universe of beauty that God put in the sky just to shout out his praise. 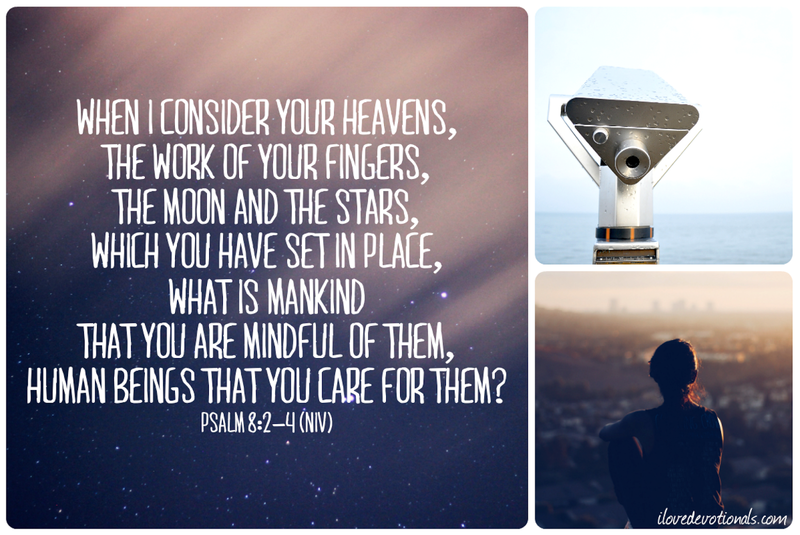 As I looked at those images of stars they reminded me who God is. I looked at the stars: the stars God strung just to astonish us, the stars He named to reveal His bigness, His majesty and His sovereignty and I remembered that God is not spiteful but awe-inspiring. I thought about how He is both the man who wept for His friend and the God who breathes light out His mouth. I considered the stars and remembered that they only burn so brightly because they are dying. As each star burns out and shoots across the sky, I am reminded that in each death I grieve, there is beauty and mystery, if I only choose to see it. For now, when I struggle with death, you’ll find me stargazing and looking for God. Ponder: What are some mysteries of life and death you struggle with? What experiences remind you of God's sovereignty in light of those? Prayer: God, I'm struggling with grief and I need you to come and show me you are with me. Thank you that I can look up at the stars every night and be reminded that you are large enough to handle my pain right now. Amen.